Our products are often a hit with the individual or company wanting to give people something a little bit different. Give them to friends, staff or customers. Give them for the festive season, company birthday, in appreciation, to build goodwill or just as a treat. Our products are often used on a day-to-day basis for saying, "Thank-you" or even, "Sorry". Managers sometimes add some product to clients' purchases. Their usage is practically unlimited. Our products are fresh, and there is a large and changing variety on offer. We are careful about hygiene. We trade under current health and safety regulations. 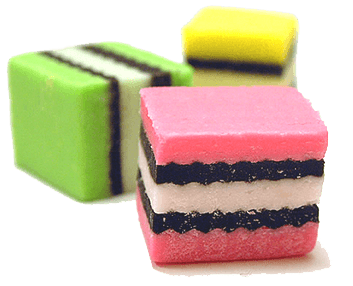 Our confectionery is made by two well-known national manufacturers on licensed premises using raw materials sourced as much as possible in NZ and produced to very high standards. All products come with a warranty and should you find they are not to standard they will be replaced. Replacements have not been necessary in all our years of trading. Orders will be distributed anywhere in the country but a courier fee may apply. We have salespeople covering most of New Zealand, from Kaitaia to Invercargill, and typically a salesperson will call upon you or your company to provide you with samples to be tasted, and show you the product range. 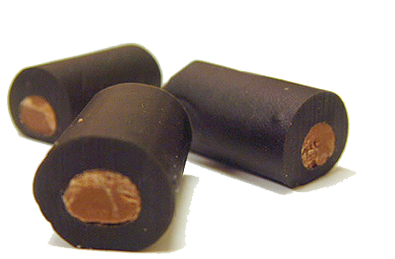 We also provide sales opportunities for people wanting to sell New Generation Liquorice products in their own area. Click the button for more information. For the past six years or so I have intentionally purchased what I consider to be one of the most effective and cheapest promotional tools I have ever used. 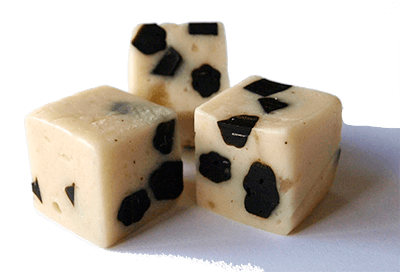 New Generation Liquorice's product never fails to please, in fact it can send some of my customers into raptures.